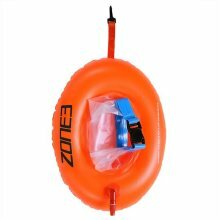 What makes this product different: Designed for safety and storage when swimming outdoors. High visibility 28litre bag allows for storage of a wide range of products and then floats alongside you during swim. Perfect for swimming on the go. 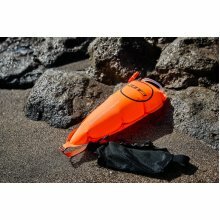 Adjustable waist belt This brightly coloured inflatable dry bag is ideal for storing your kit whilst you swim and to use as an inflatable buoy for increased visibility in open water. Since its launch the product has received a high number of fantastic customers’ reviews and has become very popular among open water swimmers all over the world. The product has also become popular with Swim-Run athletes who want to alternate consecutively between open water swimming and running as part of their training. 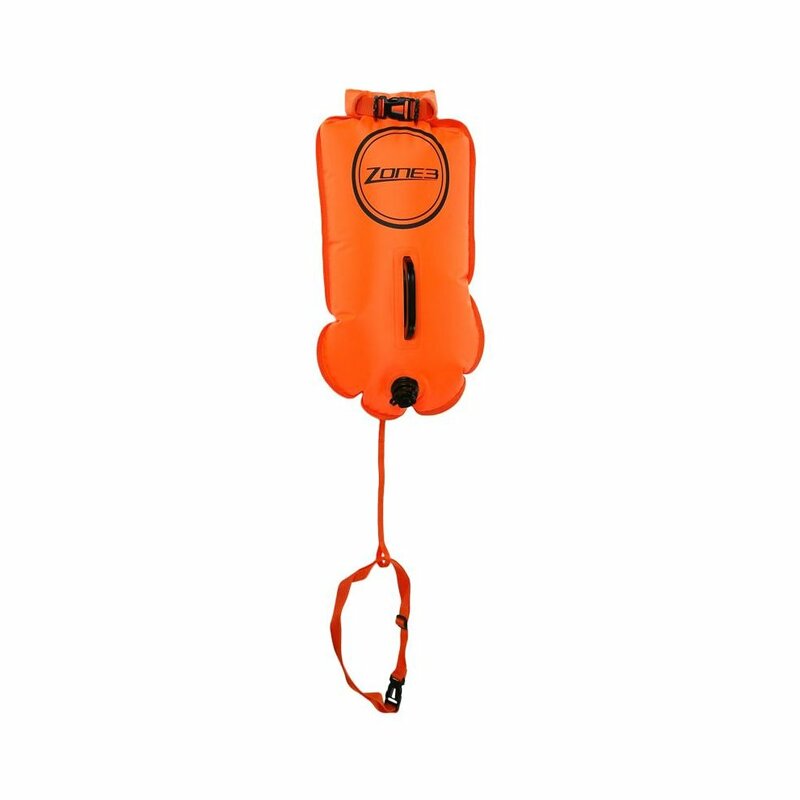 The Zone3 dry bag features dual air bags, to be inflated once the bag is filled with training gear. The inflation chambers are separate from the storage area, thus providing more buoyancy than just a normal dry bag. The adjustable dual belt design attaches securely around the swimmer's waist and the leash ensures that the product remains out of stroke range whilst swimming. 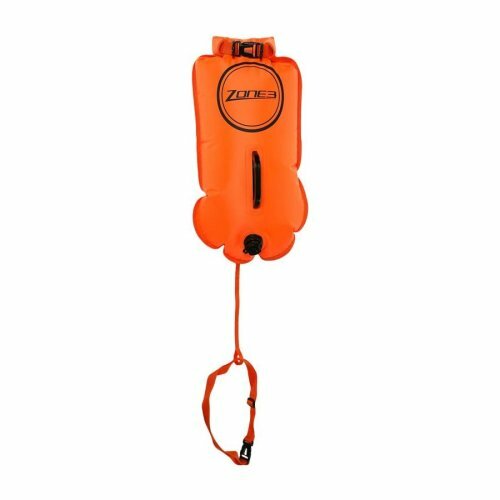 The 28L bag is highly recommended for all open water swimmers who need to carry their kit/valuables when going for a swim, or anyone who wants extra visibility when swimming in the open water. When the bag is lying flat the internal area of the bag measures 50cm x 35cm and has a 28 litre capacity which leaves plenty of room for dry clothes, towel, flip flops etc. This style of bag comes in a High Vis Orange and Pink option. There is also the On-The-Go buoy option which allows access to key products whilst in the water as well as the Hydration buoy complete with bladder pack to help keep you hydrated whilst swimming. INSTRUCTIONS FOR USING YOUR ZONE3 DRY BAG: Make sure the bag is fully deflated before use Fill the bag with your desired kit Roll over the top until you reach the 'Foldable Area' Fold over and clip together the two ends at the top Inflate using the mouth piece on each side Attach the leash to the clip at the top of the bag, threading it through itself Finally, attach the waistband.